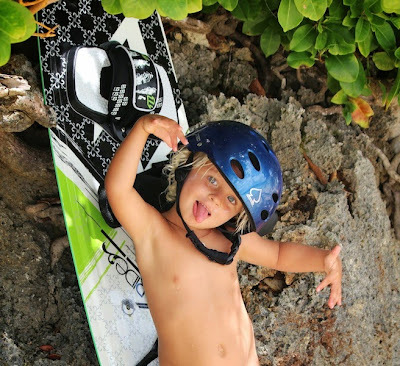 Starship - To Boldly Go...: Tonga - An Unexpected Kiter's Paradise! Chris and I have spent the last week having some of the best kiteboarding of our lives in the Vava'u Group (specifically Mounu Island and Taunga Island)! shallow, flat, crystal clear turquoise water + consistent, clean wind = AWESOME KITEBOARDING !!! I usually have a love-hate relationship with kiteboarding. I found it extremely difficult to pick up this sport, so once I did (FINALLY), I've been stalled at the stage of just going back and forth. The back and forth can get boring, but often trying new things would result in me losing my board and being very frustrated with horrible crashes. I'm also a bit of a kiteboarding chicken. Thanks to these awesome conditions, I felt comfortable enough to try doing transitions, toe-siding and even jumping :) It's been pure fun and I'm happy to be back on the "love train" again with kiteboarding. Thank you Tonga! Yep. That's good old Starship in the background! Chris always looks so much cooler than me! 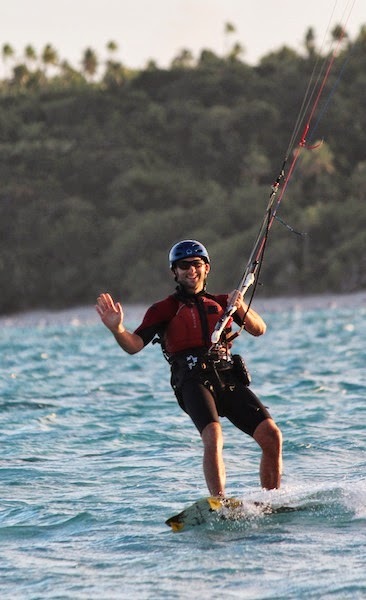 Chris asked tongue-in-cheek if there is a "Safety Conscious Kiteboarding" Magazine that I could submit our pictures too. I know the lifejacket and helmet don't look the coolest, but it's the only way I feel comfortable kiteboarding. Thank you Chris for always willingly wearing all the safety gear for your concerned wife. To add to my look, I've also been laying on the facial sunscreen pretty thick to give me a chic ghost face appearance. 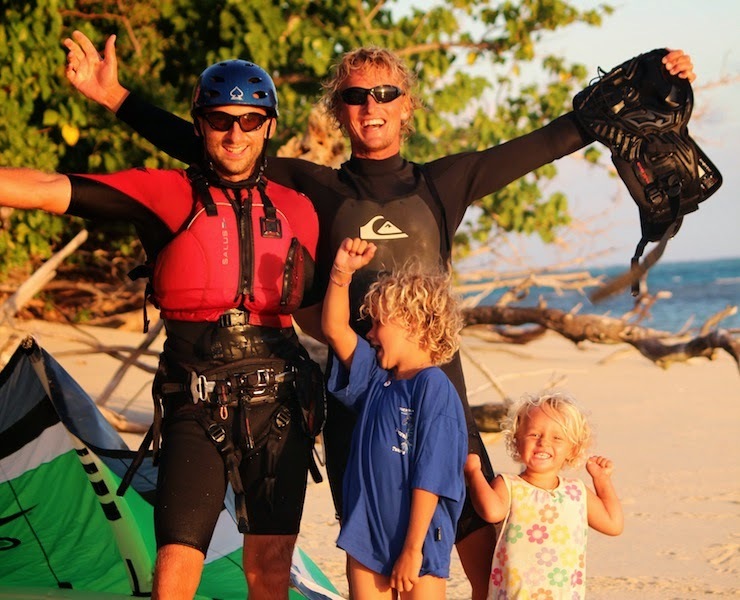 When we haven't been kiteboarding, Chris has been teaching kiteboarding and I've been playing with my favorite kiddos….it's been fantastic! P.S. Special thanks to LoLo for many of these great pictures! Petter got up on the board! Let's Celebrate! Woo Hoo! Youngest and cutest student ever! I love Teddy and Poppy! Ann Marie - What beautiful photos and you look so happy. Well done! Absolutely love your post and I am convinced a lot of others who do not leave a comment do too. I feel very much spoiled that I only need to click on the computer. Thanks Chris and Anne-Marie for putting in tons of effort and time to let us be part of your adventure. What a special treat to see the LoLo crew. 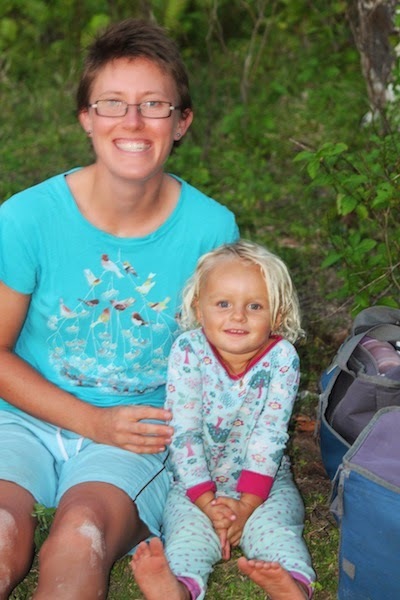 Your thankful Mama who is the editor of "Safety Conscious Kiteboarding"